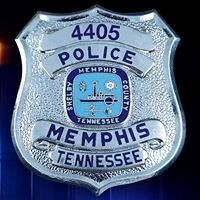 A robbery attempt was foiled Thursday evening when a victim with a handgun and a permit to carry it shot and killed his attacker, according to the Memphis Police Department [MPD]. MPD officers responded to a call of attempted robbery at around 8:10 p.m. Thursday just east of the Mid-South Fairgrounds at the corner of Central and Fenwick. Officers found a male robbery victim, 27, who said he was walking in the area when he was approached by an unknown suspect. The victim told police the suspect hit him from behind causing him to fall to the ground. The victim then stood over the victim with an unknown object and demanded his property. The victim, who police said has a gun carry permit, pulled his handgun and shot the attacker. The suspect was transported to Regional One Health where he later died. MPD said the investigation is ongoing. No charges have yet been filed.